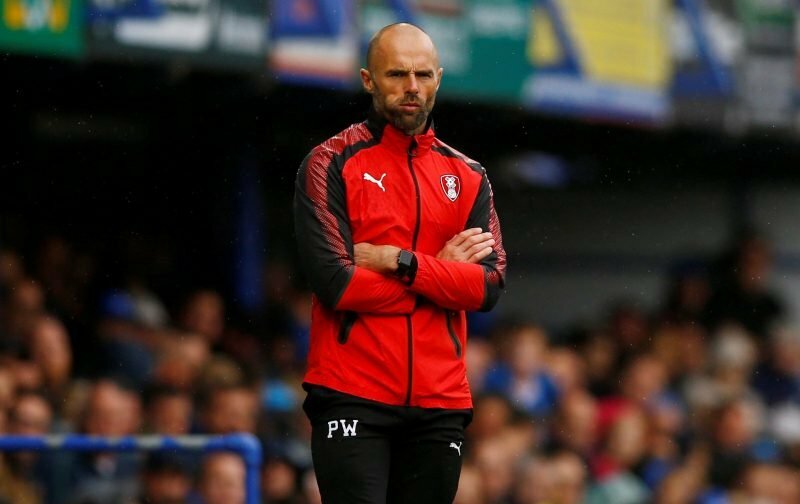 Rotherham United take on Scunthorpe in the two legs of the play-off semi-finals with Manager Paul Warne telling Radio Sheffield that he doesn’t think it would make any difference who the Millers had got to in the play-offs. ‘If you’re going to go up you are going to have to beat two teams but I don’t think it makes any difference who you play,’ the Millers Boss said. ‘It’s pretty impressive that three* of the old Rotherham team are in the play-offs and is a testament to the players that Ronnie Moore and John Breckin signed. ‘If it had been Shrewsbury then it would have been the whole Warne v Hurst battle but now it’s the whole Warne v Daws battle. ‘I, along with the Chairman, Richie (Barker) and Paul Douglas, went to watch Scunny the other day and I thought they were impressive. They’ve got all their key players back, are good on set-pieces and it will definitely be a tough two games. ‘Their pitch is a bit tight so we might approach the games in different ways and I know it’s a results performance but, in my opinion, the game will be on TV and as long as the lads give a good account of themselves and impress and keep their standards up with a little bit of luck and if the soccer gods are on our side then we might be able to get through to Wembley. * Paul Warne, Paul Hurst and Nick Daws all played for the Millers in the past and are now in charge of three of the League One Play-Off teams.